Countless low-income employees find it difficult to save for retirement. Excuses upon excuses pile up. As an employee having trouble saving for retirement, you may have used some excuses yourself. Perhaps you just do not have the time to budget your money. Coffee prices could be eating away at your financial situation, but you “need” it. Maybe you just had a child. The bills could be adding up. How could you possible save for retirement when your low-income job makes it difficult to simply pay the bills? Read on to discover strategies to save for retirement with a low income. By amending your tax returns, you can obtain some extra money for retirement. This is a very easy strategy to save for retirement. You are allowed to amend 3 previous years’ tax returns. In doing so, you can qualify for retirement savings contributions credit. Therefore, you can earn as much as 50% of your contribution. You may be eligible to receive thousands of dollars back. With this strategy, you have two options once getting the money. You can always put the money toward retirement. You can also put it toward any bills or debts that are stopping you from saving for retirement. As long as you use it wisely, amending your tax returns can jumpstart your save for retirement plan. Another strategy to save for retirement revolves around automatic savings. Perhaps you have not been able to save in the past because you forget. Kiss that excuse goodbye. With automatic savings, you do not have to remember to deposit paychecks. Your funds will automatically transfer from your paycheck to a savings account for retirement. Then, you will not have to stress yourself out about moving the money each month. Furthermore, you cannot use the excuse of forgetfulness. This strategy is a perfect way for undisciplined employees to save for retirement. Open an IRA account to further save for retirement. Many suggest opening either a Roth IRA or a traditional IRA account. In doing so, you will create a safe space to store money specifically designated to retirement. The money you put into your IRA will grow over time. Furthermore, you will be almost forced into keeping the money there once you deposit it. Before retirement, payment is required to take out money. Open a Roth IRA or a traditional IRA account to safely and effectively save for retirement. Emergencies can cause issues with saving for retirement. For example, perhaps you or a family member got into a car accident. Medical bills could be involved. Additionally, payments related to car damage could be necessary. Often times, employees choose to take money from their retirement funds in such a situation. They claim that they had no other choice. With this strategy, you will have another choice. Save for both retirement and emergencies separately. That way, you will not take away from your retirement savings in an emergency. Additionally, you will not have to apply for any small cash loans. You will be able to save for retirement much faster with this strategy. Lastly, commit to your 401(k) plan if it is offered to you. 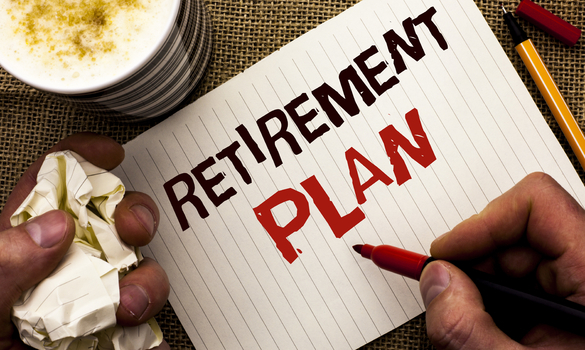 Employees are offered 401(k) plans specifically for retirement purposes. With one, you can put away pre-tax money. Due to the money being taken out before taxes, your monthly income suffers less. You have full control over your investments with a 401(k). Employees have the power to invest in stocks, bonds, and/or money market investments. Before doing so, set aside time for investment planning. Similar to an IRA account, a 401(k) is a safe place for you to save for retirement. Contrary to popular belief, you can still save for retirement with a small salary. There are numerous strategies to assist you in doing so. Firstly, amend your tax returns. Secondly, set up automatic savings. Open either a Roth IRA or a traditional IRA account dedicated to retirement saving. Simultaneously save for both retirement and emergencies. Finally, utilize a 401(k) plan if your employer offers it. You now have multiple strategies to save for retirement with low income.